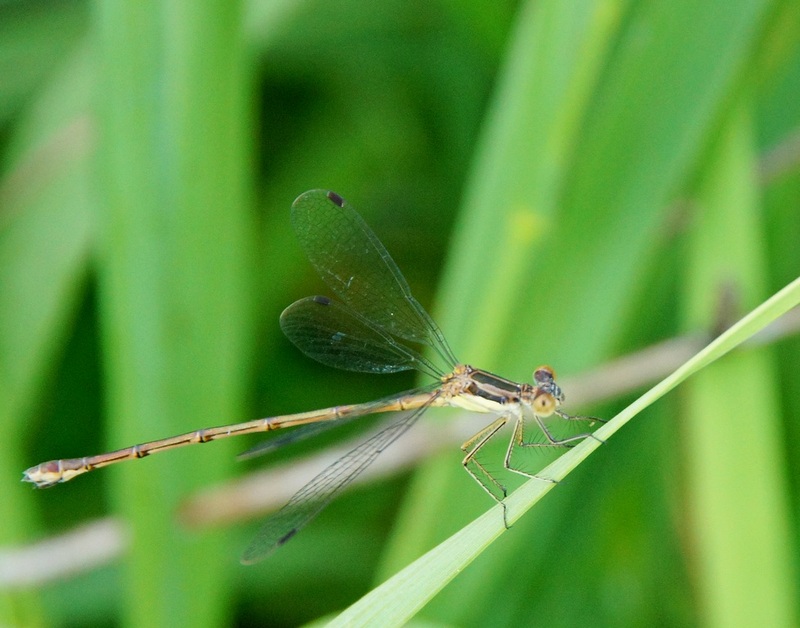 I think this is a Southern Spreadwing, but am not positive on the I.D. Looks lovely and great shot. I will leave the Id for experts. Great capture! Love seeing the details so clearly. He's a cute little fellow! Great shot of this Spreadwing. Very fine shot. I just call them all dragonflies. I love them. Nice shot. Beautiful shot of this delicate Damselfly!! It's a pretty one for sure! damselflies can be very hard to ID. It seems to have very big eyes. :) Nice catch! This is really a amazing shot and define the identity of the shot.